A widespread security crackdown has been underway in the Northern and Eastern provinces of Sri Lanka. 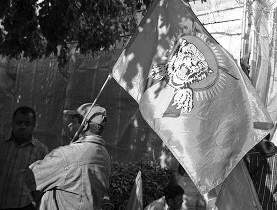 Over 20 former members of the Liberation Tigers of Tamil Eelam (LTTE)organization have been reportedly taken into custody over the past weeks in a staggered security operation spearheaded by the Terrorism Investigation Department (TID)of the Police.Almost all of the ex-LTTE cadres are being detained under provisions of the draconian Prevention of Terrorism Act (PTA). They are being reportedly interrogated by TID officials at Jaffna, Vavuniya, Boosa and Colombo. Many of the arrested ex-tigers were persons who had surrendered after the war ended in May 2009. They had been detained for a period of time and later released after being put through a rehabilitation process. Some of the ex –tigers currently arrested are reportedly persons who have not gone through the process of rehabilitation. They had apparently not surrendered after the war and had evaded capture in the past. While close upon 12,000 former LTTE members who surrendered have been released after rehabilitation , it is also estimated that about 4,000 ex-tigers who did not surrender continue to remain in Sri Lanka. There are also large numbers of former LTTE members who have fled Sri Lanka after May 2009. These include both rehabilitated and non – rehabilitated ex-tiger cadre. Among those arrested so far are four senior ex-tiger leaders. All four of them had at one time held powerful positions within the LTTE command structure in the Eastern province after the Eastern revolt and breakaway of former LTTE eastern commander Vinayagamoorthy Muralitharan alias “Col”Karuna in 2004. They are Ethirmannasingham Harichandran alias “Col” Ram, Kanapathipillai Sivamoorthy alias “Lt.Col” Nagulan, Ganeshapillai Arivazhaghan alias “Lt. Col”Kalaiarasan and Krishnapillai Kalainesan alias “Lt. Col” Praba. Three of the four were arrested in the Trincomalee, Batticaloa and Amparai districts respectively while the fourth was taken into custody in the Jaffna district. The first of the four senior ex-LTTE eastern leaders to be arrested was Harichandran alias Ram in Amparai district on April 24th 2016. “Col”Ram had earlier been the LTTE Military commander of the LTTE for Amparai and Batticaloa districts. Ram who joined the LTTE in 1984 had lost his wife and two children during the war in the northern mainland known as the Wanni. After the war he had married again and was engaged in paddy cultivation in the area of Thambiluvil . Harichandran hails from Thirukkovil in the Amparai district. He had been returning home from the paddy fields when he was seized and bundled into a blue jeep and taken away by some “unknown”persons. After his wife raised the alarm it was officially announced that Ram had been arrested by the TID for inquiries. The second senior eastern tiger leader to be arrested was Ganeshapillai Arivazhaghan alias “Lt. 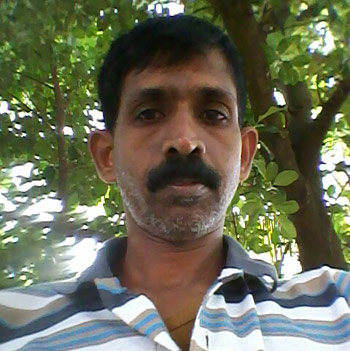 Col” Kalaiarasan on April 25th 2016. Kalaiarasan who was earlier known by the nom de guerre “Kamal” had been the LTTE intelligence chief for Trincomalee district when the war ended. Kalaiarasan a native of Aalankerni in the Kinniya area of Trincomalee was now married and living in the Trincomalee town area. He was engaged in dairy farming and breeding cattle after the war concluded. Earlier a team of TID officials in civilian garb went in search of Kalaiarasan to his home on Channel street after nightfall. The ex –LTTE intelligence wing chief got perturbed and ran away fearing the worst. After hiding elsewhere until daybreak. Afterwards Kalaiarasan tried to seek protection at the Human Rights Commission regional office in Trincomalee in the morning. He was accompanied by his wife Sithara. TID officials identified themselves and took him into custody outside the Trinco Human rights office premises . Sithara was told not to make a fuss about the arrest and was assured that her husband would be sent home in five days. Arivazhaghan alias Kalaiarasan a.k.a. Kamal who was arrested on April 25th has still not been released. 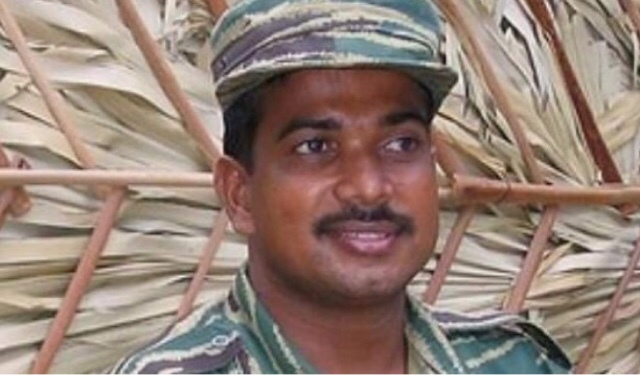 The third senior ex – LTTE leader to be arrested was Kanapathipillai Sivamoorthy alias “Lt. Col” Nagulan on April 26th 2016. Nagulan who joined the movement in 1989 had served as the special commander of the LTTE’s Charles Anthony infantry brigade. He had later functioned under “Col” Ram as the deputy military commander of the LTTE in Amparai and Batticaloa districts. Though Nagulan had been stationed in the Eastern province for many years he was actually from the North.Sivamoorthy alias Nagulan hailed from Neervaeli in the Jaffna peninsula. After the war, Sivamoorthy got married and was engaged in growing plantain trees and the sale of Plantains. Neervaely is reputed for its plantains and yams.His wife who was a teacher in Paranthan hads recently completed a teachers training course in Jaffna. A team of TID officials had gone to Nagulan’s house in Neervaeli and asked him to come along with them for an inquiry. The officers had also asked Nagulan’s father to accompany them saying they would let both go off after they answered a few questions.Upon reaching Jaffna town the officers had sent Nagulan’s father back , telling him that the son too would be set free in a few hours. Sivamoorthy alias Nagulan is still under arrest. The fourth ex –LTTE senior eastern leader to be arrested was Krishnapillai Kalainesan alias “Lt. Col” Praba on May 2nd 2016. Kalainesan alias “Praba” had been the LTTE intelligence chief for Batticaloa and Amparai districts at the time of the war ending in May 2009. Praba a native of Santhiveli in Batticaloa district had married a woman named Kayalvizhi from Naavatkudah in Batticaloa and was residing there. They have two children.After engaging in a Palmyra leaf weaving project for a while, the Kalainesan – Kayalvizhi couple had obtained a contract to run the canteen at the Technical College located at Manchanthoduvaai in Batticaloa. A team of TID officers went to Kalainesan alias Praba’s residence at Naavatkudaah early morning on Monday May 2nd. He was first taken to the Police station at Kaattankudi. The officers then told Praba’s wife Kayalvizhi that they were taking him to the Human Rights Commission regional office at Kalmunai. Her husband would be released after a statement was recorded the wife was told. Thereafter the officials went south via the Kalmunai road. Later on it transpired that Kalainesan alias Praba had been taken to the TID headquarters in Colombo. As is well known now the current spree of arrests was triggered off by the detection of a mini-arsenal at a house on Pillaiyar street in Maravanpulavu in the Thenmaratchy sector of Jaffna district on March 29th 2016. Among the items detected were a suicide jacket, four claymore mines, three parcels containing about 12 kilos of TNT explosives, two battery packs as well as some 9mm ammunition. The cache had been brought from Iluppaikkadavai in Mannar district to Jaffna by the chief occupant in the house named Edward Julian also known as Ramesh. 32 year old Edward Julian – a native of Murunkan in Mannar district- was a former LTTE member who had neither surrendered nor been rehabilitated after the war ended. He drove a truck and was involved in transporting and selling fish as a business. Edward Julian alias Ramesh was arrested on March 30th 2016 at a road block between Jeyapuram and Akkarayankulam in the Kilinochchi district. The TID thereafter took over and Edward Julian was brought to Colombo. It was after this development that the current spate of arrests commenced. A number of Edward Julian’s acquaintances traced through his cellular telephone were targeted. Initially five persons traced via Julian’s phone were arrested in Vavuniya and Mannar districts. These were followed by more arrests all over the Northern province. Almost all of those arrested were ex-LTTE members.Some had never been rehabilitated earlier. Others were surrendees who were now leading normal civilian life after being rehabilitated. Interestingly the current security exercise seems to be more or less a solo exercise by the Police Terrorism Investigation Department (TID) No other state agency seems to be involved or is even being consulted, it appears. Newspaper reports have made it clear that the current security operation is being directed and supervised by Senior Spdt of Police (SSP) Nalaka de Silva the TID director himself. Without any unnecessary publicity or fanfare ,the TID seems determined to delve into matters concerning the Maravanpulavu arms cache detection. The detection of comparative small quantities of arms and ammunition in various parts of the North and East have been a recurring phenomenon during the past years. Apparently the LTTE has collectively and tighers individually have dumped or concealed arms , ammunition and explosives in various locations at various times. Some of these have been discovered or detected on different occasions in recent years. It appears that the arms cache in question had been earlier stored at Iluppaikkadavai in 2008. It is surmised that this could have been done when the tigers were gradually retreating in the face of the advancing 58 division commanded by Shavendra Silva at that point of time. What is troubling however is the question that arose out of the detection. Why was this cache transported after all these years from Mannar district to Jaffna district and kept in Maravanpulavu at this juncture? On that basis it was suspected that an attack or assassination in Jaffna was being plotted. While the LTTE had been militarily defeated at Mullivaaikkaal in May 2009, the overseas structures of the LTTE were unaffected. Some of the LTTE elements abroad have been trying to bring about a tiger revival in the Island and cause violence. There have been three blatant attempts to bring about a LTTE renaissance in the past. Fortunately all three attempts were nipped in the bud. Was a fourth attempt being enacted now? The overseas tigers were not going to risk anything. What they were doing was to instigate and encourage others in India or Sri Lanka to engage in such revival attempts. The Diaspora tigers would simply finance them. Since very large numbers of ex – LTTE cadre were in dire financial need in Sri Lanka , the overseas tigers could use cash as an incentive to motivate them into resuming violence. An attempted revival of the LTTE does not mean a return of the LTTE with all its conventional military units,heavy artillery, naval flotilla or fledgling air wing! A revival attempt in the current context could only mean one or two acts of destructive violence. An assassination or explosion would suffice. This would be enough to stridently trumpet that the tigers are back, disrupt normalcy in the North – east and embark upon a fund raising campaign in the West. It is with this objective that tiger elements abroad are funding and fomenting a tiger revival attempt in the Island. The most fertile ground to attract followers to this cause is amidst the hearts and minds of former tiger cadres now struggling to get on with life in the North and east. Just as the overseas tigers target former LTTE cadres as potential recruits to engage in violence , the law enforcement officials in Sri Lanka also view the ex-tigers as potential suspects in exercises of this type. Just as cops round up convicted criminals of the area as the usual suspects whenever a crime occurs in the vicinity , the law enforcement officers also target ex –LTTE cadres if and when a LTTE revival attempt is suspected. Thus the detection of arms at Maravampulavu has resulted in a series of ex –LTTE cadre arrests.Since the original suspect Julian alias Ramesh was an unrehabiliated ex –LTTE cadre himself , the subsequent arrests of ex –tigers became inevitable and have a certain amount of credence. Primarily Focusing on ex –LTTE acquaintances and contacts of Edward Julian, the TID took into custody around 20 persons in the North.Soon the arresting spree spilled over into the Eastern province too. The arrests in the East however caused drastic shock waves. This was because those being arrested in the East were senior Tigers who had been high profile eastern LTTE leaders at one time. Even Nagulan a native of Neervaeli arrested in the north was for practical purposes an easterner having been resident in the “Kizhakku”(east) for many many years. Why were they being arrested now ? was the perplexing question. It appeared to most people aware of post – war developments that something was amiss somewhere. While acknowledging the fact that law enforcement authorities have the right to arrest people on suspicion through proper procedure in the interests of national security, there also began to emerge doubts as to whether those responsible for the on- going arrests were fully cognizant with the past track record of those being arrested, particularly the ex –LTTE eastern leaders. These doubts were further enhanced by news reports citing Police sources. Some news reports attributed to Police sources stated that the arrested eastern ex – tigers had not undergone full rehabilitation and had also been army intelligence informants .Such reports demonstrated clearly that the officials behind the arrests of the Eastern ex –LTTE cadres were woefully unaware of the remarkable roles played by Ram, Nagulan, Kalaiarasan and Praba in the aftermath of the war. All four had been involved in a counter –intelligence operation that the Sri Lankan state and its agencies could be proud of. What happened then was this. When the LTTE was defeated and its supremo Veluppillai Prabhakaran killed in May 2009, a contingent of LTTE cadres were still “free and fighting” in the Amparai district jungles of Kanjikudichchaaru and Kaanjirankudaah. They were led by the LTTE Amparai-Batticaloa military commander “Col” Ram and deputy military commander “Lt.Col”Nagulan. When LTTE leader Prabhakaran made plans to break through the military cordon encircling Mullivaaikkaal and escape, one of the alternative destinations he had in mind was the Kanjikudichaaru jungles. This however was not to be and Prabhakaran was killed. After the military debacle in the north the armed forces and Police Special Task Force (STF) began increasing pressure on the LTTE cadres in Amparai district. So Ram, Nagulan and other LTTE fighters then moved further north to the Kudumbimalai/Thoppigala area jungles. With constant military pressure being exerted, both Ram and Nagulan dispersed the cadres and moved to Vellaveli in the “Paduvaankarai” (shore of the setting sun)region and went into hiding. Meanwhile appeals were sent out by both to the overseas tiger branches that they had not surrendered and that the LTTE in the east required further assistance to continue the armed struggle. 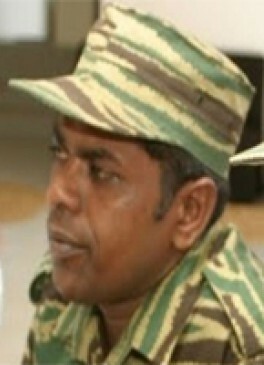 The LTTE’s Batticaloa –Amparai intelligence chief Lt. Col Praba was in the Wanni during the final stages of the war. He left the Puthukkudiyiruppu-Mullivaaikkaal region in April and relocated to the Nedunkerny area jungles with some tiger cadres before the LTTE was defeated totally. Praba then moved to a safe house on the outskirts of Vavuniya town.Praba’s Trincomalee district counterpart Arivazhaghan alias Kalaiarasan was at that time holed up in the Kiliveddi area jungles of Trincomalee district. The Batticaloa-Amparai LTTE intelligence chief Praba was in touch clandestinely with Trincomalee LTTE intelligence chief Kalaiarasan on the one hand and the Ram – Nagulan duo on the other. It was at this point of time that Sri Lanka’s intelligence officials executed a brilliant counter – intelligence feat phased out in three stages. In the first phase an LTTE cadre of mixed Sinhala-Tamil parentage whose name begins with a “T” was utilised to establish links with Trinco tiger intelligence chief Kalaiarasan and “turn” him. In the second phase Kalaiarasan was used to entrap Praba in Vavuniya and consequently win him over. In the third phase Praba was deployed cleverly to inveigle and apprehend Ram and Nagulan in Vellavely. Despite having four senior Eastern LTTE leaders in their grasp, the Sri Lankan intelligence personnel did not publicise the fact. Instead they commenced an unorthodox covert operation. An impression was created that Ram, Nagulan, Praba, Kalaiarasan and some other eastern LTTE cadres were functioning independently and still continuing with the armed struggle for Tamil Eelam. Ram established contact with overseas LTTE branches and sought financial and arms assistance. A great deal of money was reportedly sent from abroad, though exact details are unavailable. Ram also issued statements and even sent a letter supportive of Selvarasah Pathmanathan alias “KP” during the overseas LTTE leadership tussle with Perinbarasa Sivaparan alias “Nediyavan”. It was during this time that Dayamohan the LTTE political commissar for Amparai –Batticaloa made his way to Malaysia and from there to Switzerland. One of the subterfuges adopted by Sri Lankan intelligence officials to propagate the “LTTE Fighting on in the East”myth was the creation of “counterfeit” tiger camps in the jungle. Some Indian and Pakistani journalists were allowed to visit these camps and interview Col Ram and Lt. Col Nagulan. These interview/articles were published with pride as praiseworthy scoops. It was said that Tigers were yet actively fighting in the East.One of the Indian magazines so deceived was the Tamil bi-weekly “Nakkeeran” which describes itself as a premier investigative journal. The height of deception was the exclusive article appearing in a prestigious UK publication. The writer was a top – notch British journalist from the Aristocratic upper crust of English society married to the daughter of a Duke. The illusion of tigers continuing the struggle in the east helped Intelligence officials utilise Ram &Co as instruments to establish and maintain contacts with the LTTE overseas structure and its covert supporters elsewhere for a while. This helped the Sri Lankan state to garner extensive information of overseas tigers and identify key operatives. It was however too good to last and gradually suspicion began growing from September 2009 amidst Tiger elements in the Diaspora as to whether Ram was really independent or not. The drama was brought to an end by November 2009. News reports in Sri Lanka quoting security sources said that Ram had escaped from the Minneriya security camp on Nov 5th. A second news report stated that he had been recaptured on Nov 10th.Ram himself communicated with tigers abroad and said that the news reports were wrong and that he was yet free.A special message on behalf of “Col” Ram was issued on November 27th the “Maaveerar Naal” or “Great Heroes Day”.There were however few takers for this stunt. By the end of November it became clear that the deceptive counter-intelligence exercise had outlived its usefulness. The illusion of LTTE fighting in the East was allowed to fizzle out gradually. The top Eastern tigers including Ram, Nagulan, Praba and Kalaiarasan were kept under protective custody for a few more years at different locations. Officials interacting with the detained tiger leaders finally arrived at the conclusion that the ex-tigers had indeed turned over a new leaf. Having ascertained that they would lead normal lives if and when released, it was decided to release them. Finally in 2013 they had to undergo a process of rehabilitation for a 45 day period in July – August. It was felt that given the extensive cooperation rendered by the ex –tiger leaders there was no need for them to undergo the mandatory One year period of rehabilitation. They were then released individually to their respective families in August 2013. After being released the ex- eastern tiger leaders like many of their rehabilitated comrades picked up the pieces of their life and resumed living. Ram who had lost his wife and children re-married and engaged in his family tradition of agriculture in Thirukkovil – Thambiluvil.. Praba resumed family life again with his wife and two daughters. After struggling financially for a while their prospects became brighter after securing a contract to run the canteen at Manchanthoduvaai Technical College. Kalaiarasan entered wedlock , re-located to Trinco town and began raising cattle for a dairy business. Nagulan left the East and returned home to Neervaeli in the North. He married a school teacher and began growing plantain trees and also transporting and selling Bananas wholesale. All their lives have now been shattered. It was well known in the community that the four ex-tiger leaders had been in custody and had cooperated with military intelligence officials. It was also understood that they like many other former LTTE members were trying to resume and lead normal lives. Contrary to Diaspora tiger expectations,there are very few among the people of the North and East who believe a revival of the LTTE on a major scale is possible. Despite attempts by tiger elements in the Diaspora, the people living in Sri Lanka have evinced no desire whatsoever to encourage a recurrence of political violence. Thus the community at large did not perceive any threat or danger from the ex –tiger leaders .However, as is typical , there existed a certain amount of reserve on the part of the people in interacting with the ex-tiger leaders. The mode and scale of arrests have raised much concern among family members. Many of them were not informed about the reasons for their arrests. Instead they were simply “abducted” by officers in civil dress and taken away in vehicles. 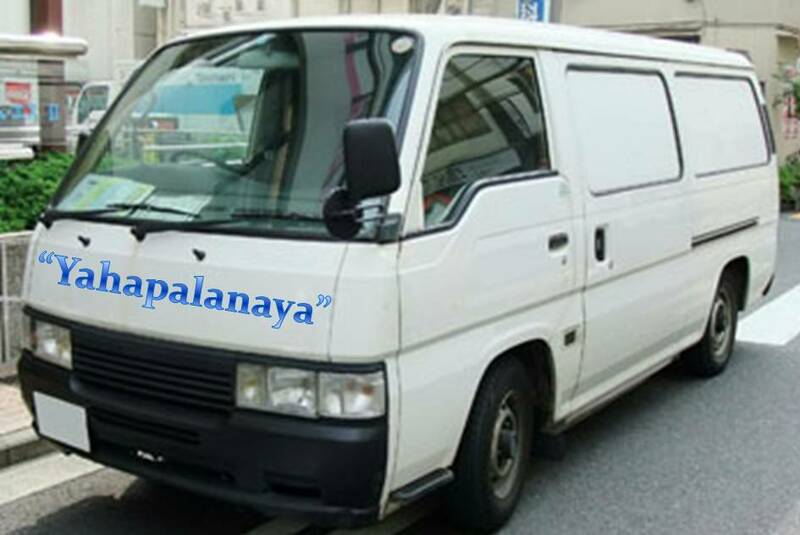 This modus operandi revived fears that the “white Van “culture prevalent in the Rajapaksa regime had re- commenced under the “Yahapalanaya” regime of President Sirisena too. The other disturbing factor was that of several rehabilitated ex-tigers being arrested again. This was particularly so in the case of arrested ex-tiger eastern leaders.Several close relatives kept repeating to Tamil media personnel that the arrested persons had been rehabilitated. They had been released as free persons after rehabilitation. So why are they being arrested again now? Was the question that troubled them. While understanding the fear and anxiety of family members in this matter there is one important fact has to be made clear. The rehabilitation and release of former LTTE cadres provides a clean chit only for their past activities. 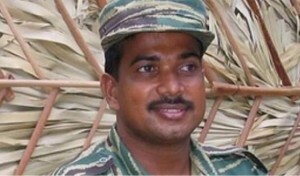 The rehabilitated ex-tiger will not be penalised or held responsible for any old act of omission or commission during the time he or she was active in the LTTE. This however does not grant immunity from being interrogated, arrested or punished for any new illegal act or crime allegedly committed after being released. If one was suspected of participating in any exercise to engage in violence or revive the LTTE then that person would have to be probed by law enforcement officers. An investigation could result in the arrested person being released if found innocent. Rehabilitation does not provide blanket immunity or exemption from arrest. Another effect of the arrests of four eastern ex-tiger leaders is the elation it has caused among tiger circles in the global Tamil Diaspora. It was well-known that Ram, Nagulan and the others had cooperated with the Sri Lankan authorities after the war ended. Several top rung functionaries among overseas tigers had been deceived by the counter –intelligence drama enacted by Sri Lankan officials in which Ram and Nagulan and others played key roles. The overseas tigers had not highlighted this in the past because they were ashamed of being taken in by the “LTTE fighting still” charade played out in the east. They were however extremely resentful of Ram &co for this. Now there is a sense of jubilation within overseas tiger ranks. The very same ex-tigers who cooperated with Sri Lankan intelligence are now being arrested and detained by the Sri Lankan Police! The overseas tigers are gloating over the so called “tiger traitors” being in hot water now. The current situation in which those who cooperated with the state are also being arrested gives rise to the impression that there is a lack of coordination or pooling of resources among various law enforcement and intelligence organs of the state. When the Theiveegan – Gopi – Appan led attempt to revive the LTTE took place in early 2014 , the state machinery rose to the occasion by joining forces and acting unitedly as a team. The Police, Army and Intelligence agencies co-operated together in a multi –disciplinary exercise to crush the LTTE revival attempt. Unfortunately that spirit of unity and bonhomie seems to be absent at this point of time. 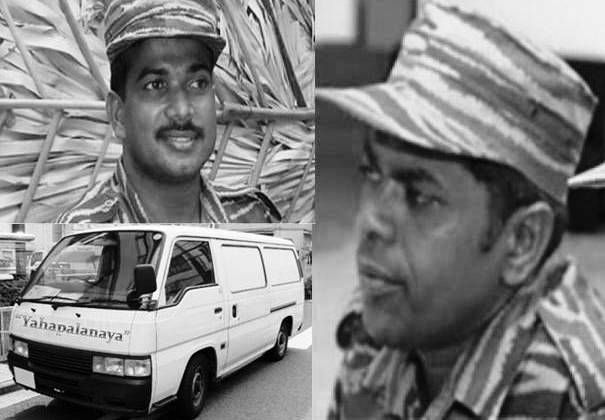 The arrest of high ranking military intelligence officials over the Prageeth Eknaligoda disappearance has resulted in a deterioration of relations between these state agencies. Paranoia about some key operatives supplying information to the Mahinda Rajapaksa –led opposition has compounded the situation further. More importantly there is no one at the helm in the Defence ministry like former Defence Secretary Gotabhaya Rajapaksa now. Whatever his detractors may say about him, there is no denying that Gota got all branches of the defence establishment to work together efficiently if and when challenges were posed to national security. Thus no one in authority has been clearly explaining the actual reasons behind the arrests and/or the gravity of the threat posed by a potential LTTE revival attempt. Since the TID seems to be in sole charge it is up to the Police to clarify matters but even the Police media unit has now been suspended and official spokesperson reprimanded. There have been no official statements categorically confirming or denying an alleged LTTE revival attempt.Vague assurances have been given by the current Defence secretary but they seem neither effective nor definitive. Meanwhile opposition leaders notably the articulate Prof. G.L .Peiris have been going to town about the major danger of an alleged LTTE revival. The official Police Spokesperson ASP Ruwan Gunasekera has been suspended and the Police media unit according to the new IGP is being re-structured. 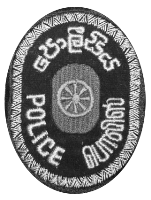 It appears that the Police spokesman has exceeded his brief in divulging information to the media.Several newspapers have quoted him and published news stories of a sensational nature about the arrested ex – eastern tiger leaders. The Police according to its spokesperson has only now discovered that the top ex-LTTE eastern leaders have been military intelligence “informants”. He has also revealed that they had not undergone the mandatory period of rehabilitation. Now all these “new” discoveries by the TID and public revelations by the spokesperson would have been rendered unnecessary and irrelevant had the Military Intelligence been consulted. Instead of resorting to the easier and convenient mode of drawing on available information the Police seems to be going it alone and sensationalising gleaned information in a manner that may possibly affect whatever has been achieved by the intelligence officials through the ex -tigers in the past. Furthermore instread of resorting to shock methods to arrest the ex-tigers the Military intelligence could have been assigned the task of communicating with the ex -LTTE eastern leaders using their established links.Thus a climate of panic and confusion prevails due to the solo operational style of the TID which does not seem to posses the necessary “intelligence” to differentiate between hostile elements and friendly sources. 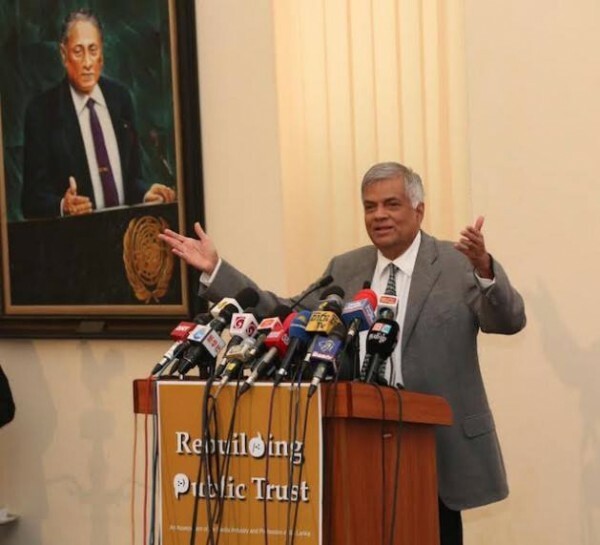 The sole silver lining – if one may call it so – in this dark cloud of doubtful uncertainty has been the explicit statement of Prime Minister Ranil Wickremesinghe. Addressing a gathering at the Lakshman Kadirgamar Institute for International Relations and Strategic Studies (LKIIRSS) on Tuesday May 3rd Premier Wickremesinghe said that he sought clarification from the police and the DMI in the wake of recent media reports in respect of resurgence of LTTE activity. Newspaper reports further stated that Prime Minister Ranil Wickremesinghe has received assurances from both the police and the Directorate of Military Intelligence (DMI) that the Liberation Tigers of Tamil Eelam (LTTE) had been wiped out and therefore there was absolutely no likelihood of the group staging a comeback. One does not know whether the Prime Minister has been correctly quoted in the newspaper reports but assuming that he has indeed been correctly quoted there are two points that need to be emphasised here. The first is that the LTTE has indeed been militarily wiped out in Sri Lanka but the overseas tiger branches described derisively as the “rump” are not destroyed yet. Secondly the overseas tigers are capable of fomenting violence in a bid to revive the LTTE in Sri Lanka. It is important to distinguish clearly between a revival and a revival attempt. A full scale revival of the LTTE and a return to the past where the tigers were a formidable force is virtually impossible in the present situation. There could however be no guarantee that attempts would not be made to revive the LTTE despite those efforts proving unsuccessful. Since tiger elements in the Diaspora would continuously finance such attempts such dangers are always there. There is a need therefore for constant vigilance. There is little room for complacency in matters like these. « Did President Request Prime Minister to Reconsider Appointments of Finance Minister Karunanayake and Central bank Governor Mahendran?